Hello there! 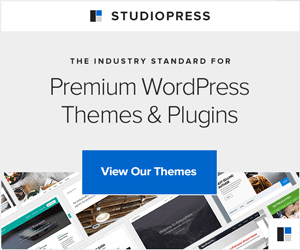 If this is your first visit to our blog, welcome. We’re in the midst of a series on mid-size city family vacations — of which I am a huge fan (Read our top 10 reasons why here!) Today we visit Raleigh, NC, a city I know well since I live only 20 minutes away! When I tell people I live in the Raleigh area, people generally say, “Oh, nice! I’ve always wanted to visit North Carolina. It sounds beautiful.” (It is!) OR, “I’ve been to Charlotte, but I don’t know much about Raleigh.” I generally reply that Raleigh and Charlotte may be siblings in the same family, but like most kids — they are as different as can be. (Like my brothers and me!) Enough about me and my analogies, here’s your Raleigh visitors guide — everything I can think of to convince you to visit Charlotte’s little sister! 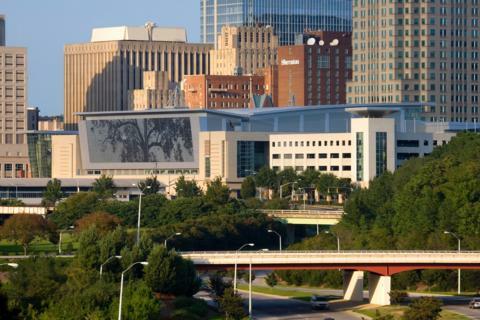 Raleigh is home to two major music festivals each fall, the Hopscotch Festival and the IBMA Bluegrass Festival. The Hopscotch Festival, September 4-6, 2014, features 160 groups throughout the city, from the main stage at Raleigh City Plaza to small venues in clubs, performing music of all genres. The IBMA World of Bluegrass Week starts September 30th and ends with a weekend festival October 3-4, 2014. Much of the Bluegrass Festival includes free street festival fun for the whole family, and the event coincides with the Whole Hog Barbecue Championship — what a pairing of food and entertainment! If you can’t make it to one of these events, not a problem. Live music, whether in restaurants and clubs or at street festivals, is playing somewhere in the Raleigh-Durham area year round! The Raleigh area has so much to offer for music lovers, that the CVB created a recommended vacation itinerary just for you — think of it as the Raleigh visitors guide for music lovers! I’ve shared before about dining options in Raleigh, including restaurant week (June 2-8, 2014). International flavors abound in the RTP (Research Triangle Park, locally the Raleigh-Durham-Chapel Hill areas). With Duke University, the University of North Carolina at Chapel Hill, and an active technology sector, people from all over the world call this area home. Not surprisingly, eclectic dining options followed. Today’s Triangle restaurants offer farm-to-table goodness and international cuisine options to rival major urban cities. Down home goodness is not forgotten, and food inspired by the Triangle’s southern heritage can be enjoyed as well. We highly recommend The Pit (try the pumpkin skillet cornbread, fried pimento cheese, and bacon bruschetta) or Ole Time Barbecue. By the way, if you’re confused about barbecue (and if you have no idea what I mean, you’re confused), this little song should clear it up! Three major interstates (I-40, I-85 and I-95) run through the greater Raleigh area. As with any interstate, hotels follow. And the Raleigh area’s got a lot! When there’s a large hotel inventory (with the exception of LA, NYC and San Francisco), room rates tend to run a bit lower than when few hotel options are available. (Remember high school economics, and the law of supply and demand?). For around $100/night, families can stay in large, comfortable hotel rooms, many of which offer free breakfast. Nice! The Greater Raleigh CVB works with hotels, attractions and local businesses to offer deals and specials throughout the year. Families who want to attend sporting events and holiday festivals should explore vacation package options to save even more. Local businesses and attractions offer special rates and discounts throughout the year, so check the site before making plans to save even more. Better than reduced price is free, of course! And there’s lots to do in Raleigh — for FREE! Local parks and state museums offer free admission year round. Just up the road in Durham, the Sarah P. Duke Gardens, ranked among the top 10 public gardens in the United States by tripadvisor, offer free admission (though you must pay to park). On a recent visit to the park, we saw many families enjoying picnics on the open lawns, kids and parents gleefully watching the swan swim across a small lake, and kids skipping along trails. It’s a beautiful place to spend a quietly active family afternoon. 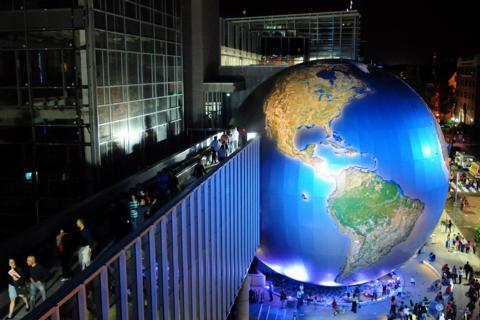 The NC Museum of Natural Science and the NC Museum of History provide enough activities to keep kids busy for days. Add a trip to Marbles Kids Museum and a stroll through the outdoor gardens at the NC Museum of Art for a great week of adventure — with learning thrown in that they will enjoy! Pullen Park, recently renovated, offers a carousel, mini train ride, peddle boats, tennis courts, walking trails, picnic areas and Pullen Place Cafe offering local foods and snack items. Pullen Park is the oldest active park in North Carolina, the 5th oldest in the United States and the 16th oldest park in the world. It’s one of my favorite places in the entire state! 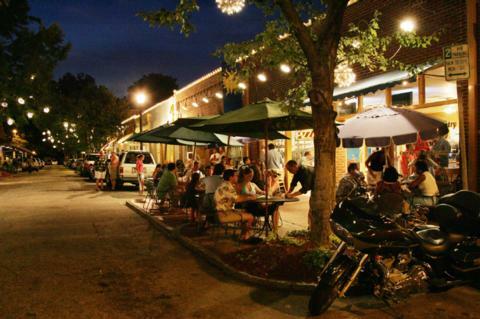 The Triangle area is home to several major colleges — and with colleges come all the things teens enjoy. Whether your teen wants to shop til she drops, sip organic, shade grown coffee at an independent coffee shop, or enjoy a sporting event, the greater Raleigh area has it! Add in adventure sports, like kayaking the Neuse River (okay, that’s a family friendly mild adventure) or scuba diving, and you’ve hit a home run (sports pun intended, though perhaps poorly used). HINT: If interested in scuba diving, the Carolina Dive Center offers classes much of the year. Schedule your vacation around your dive classes! This Raleigh visitors guide shares much of what I love about living in the Raleigh area — hard to beat having a premier vacation destination in my backyard! Throw in great weather (most of the year), minimal traffic congestion (our rush hour is usually that — an hour! Except on summer Fridays), and friendly people and it’s a perfect mid-size city for your family vacation! 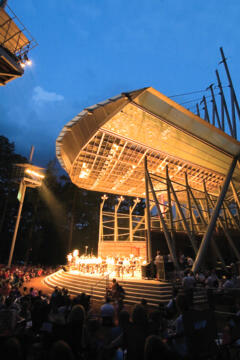 •Visit Raleigh, the Greater Raleigh CVB. •The Durham Bulls, our favorite AAA MLB farm team and home of the 2014 AAA All-star Game! •Our North Carolina Vacation Guide, including a Raleigh visitors guide and review of places we’ve been! Have you been to Raleigh? What attractions, restaurants and recommendations would you add to our Raleigh visitors guide? Thanks for reading! I hope you can visit soon. That looks like a lot of great place to visit. Great pictures. Thanks, Michelle. It’s a great place to live — and a great place to visit. I hope you make it to Raleigh sometime soon. Raleigh looks absolutely beautiful and so much fun! There is a lot more to do there then I would have thought. I definitely like that there are things for teens to do. Not enough cities really pay attention to the youth crowds and then complain about loitering or kids being bored and ruining things. I may have driven through Raleigh once or twice on my way to other destinations but never actually stopped there. It looks like an enjoyable place to spend a day or two! I have been to NC a lot, but have yet to go to Raleigh. I never knew there was so much to do there at such an affordable price. 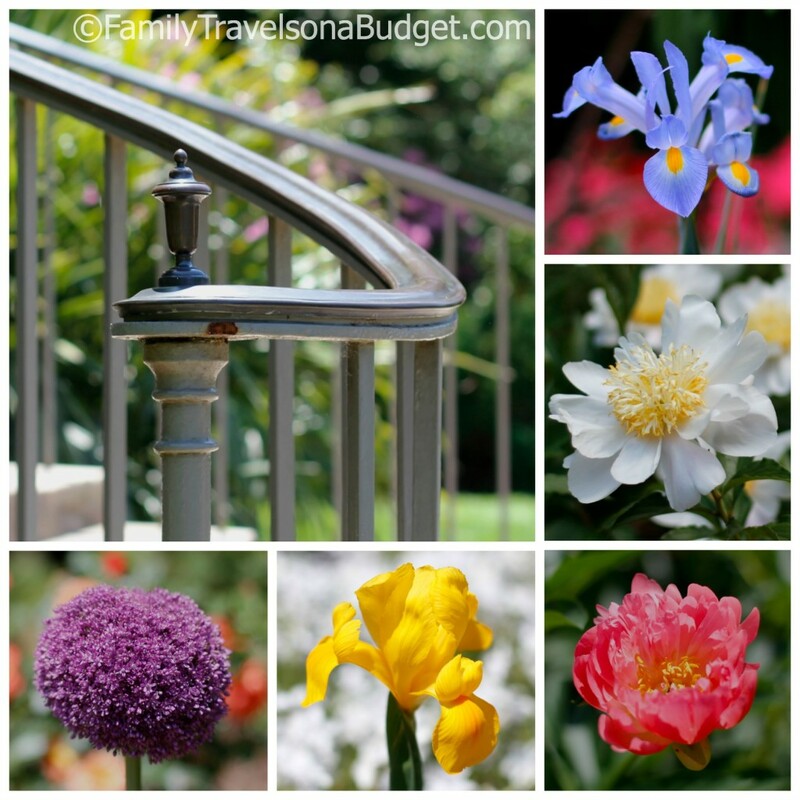 I’d love to visit the Gardens and the Museum of Natural Science! I love that you look for music festivals everywhere you go. I am inspired by you! Thanks for the ideas for the kid friendly fun. We are always looking for those ideas when we travel. You’re welcome. I hope you’ll come visit sometime. It’s really fun! I have never been there but looks like it would be a lot of fun. Thanks for sharing. Rebecca, Until I lived here, I had no idea there was so much to do. It’s a great place to live! OR VISIT! It’s been a while since I’ve been to Raleigh, but I definitely love the family feel and all the hidden gem restaurants! My personal favorite is BOLT Bistro. Though I have lots and lots and lots of close seconds!!! It’s great living someplace where the tough decision is which FABULOUS place to eat!